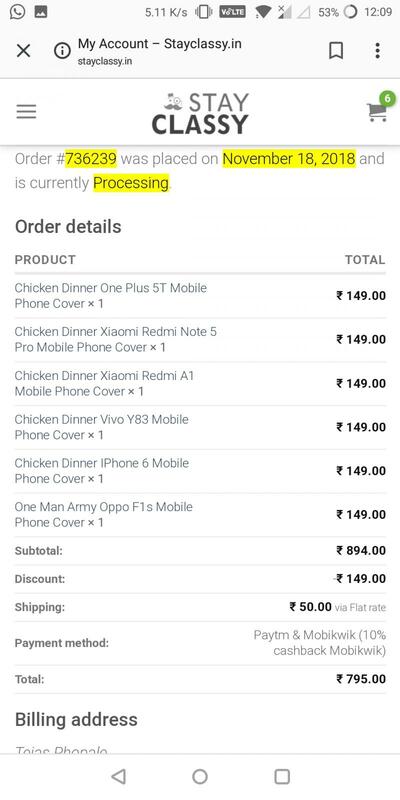 I ordered 6 phone covers from stayclassy.in.But havent received order so far.I have already paid 795 rupees with paytm. The contact numbers they have given on webiste are switched off. I sent an email to them but got no reply. Currently processing from the day I have placed an order.18th Nov 2018.. They didn't given any reply of confirmation or refund.